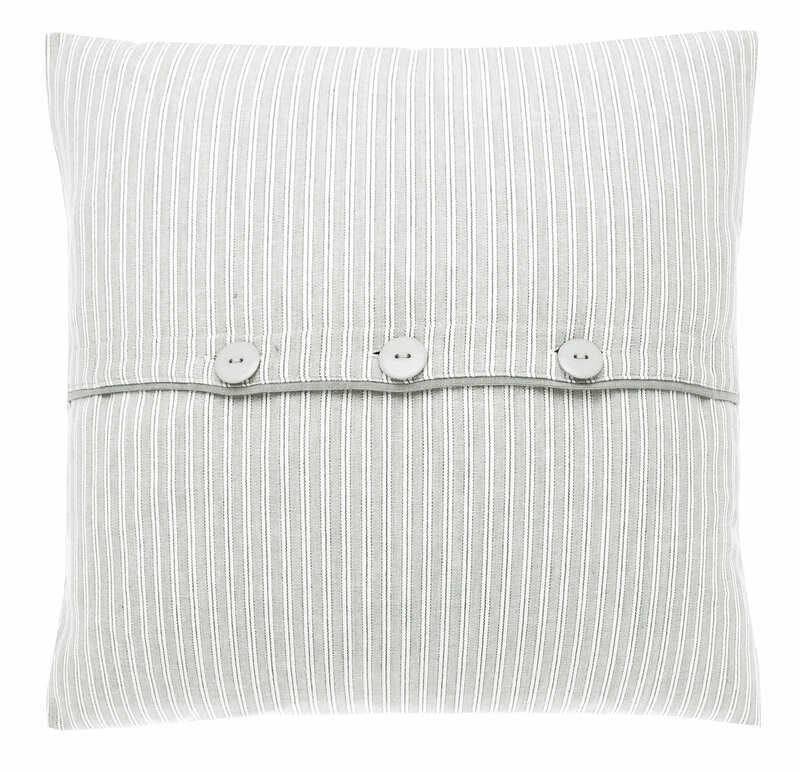 Walton & Co cotton square cushion in a fashionable and sophisticated light grey ticking stripe, with grey detailing edge and set off with 3 cool grey buttons. Filled with a polyester cushion pad. A cool addition to any dining or living room. Morgans of Pontybat in Powys, United Kingdom.